Nearly 50% of Campers travel from across the country to attend camp! Every year campers fly into Los Angeles and make their way north to Ojai, CA to attend Camp Spin Off. Campers have flown in from Kenya, the Philippines and Italy – to name a few of the exotic locations. But, most campers come from across the United States and require making travel arrangements to attend camp. as there are more flight times available and the airline tickets are more economical since it is a larger airport. 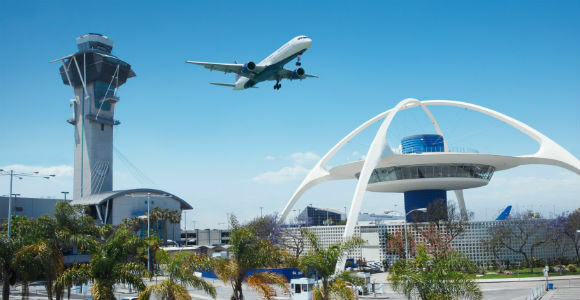 As of 2018, CSO now provides a complimentary shuttle pick-up from LAX Airport at no additional cost. Campers that choose to fly into either Santa Barbara or Burbank Airports must arrange their own ground transportation to and from Camp. For campers flying into the Los Angeles International Airport on the Sunday that camp begins, there is a free Airport Shuttle available. LAX is the first of 2 stops on the CSO Complimentary Shuttle. The Airport Shuttle which has Camp Spin Off staff aboard, will pick up Campers curbside, outside of the terminal of their airline. Specific pick-up information will be provided once you have registered for Camp. *Please note, we do not offer any assistance from the gate to the pick-up location curbside. After picking up campers from LAX Airport, the Shuttle will make its final stop at Scratch DJ Academy before making its way to Ojai, CA. This drop-off/pick-up location is ideal for Southern California Residents. Parents or Guardians can drop off campers at the Scratch DJ Academy in West Los Angeles. Campers being dropped off will kick-off their DJ camp experience with a Welcome Reception hosted by Scratch DJ Academy and Camp Spin Off. Parents are encouraged to mix and mingle with fellow parents, get a quick tutorial on DJing or speak directly with Camp staff. Campers will be joined on the shuttle with Camp Spin Off staff. Food and Snacks are provided.